Biotechnology was by far the most invested-in group, with $13.8 billion in investments, and Oncology specialty is the biggest draw, AngelMD report shows. Investment and networking platform AngelMD’s new report shows healthcare technology investment surged ahead in 2017, with California leading the charge and the biotechnology group more than doubling the amount of investment reported. AngelMD looked at more than 2,500 Securities and Exchange Commission filings to get a clearer picture of where private healthcare investors were spending their money in 2017. Privately held companies that raised funds must file with the SEC to declare exempt offering of securities -- making the filings a good barometer for where investments are being made. The findings show that a significant amount of capital continues to be invested in the fight against cancer, and should be on interest to healthcare decision makers and current investors considering where to look for opportunities and what technologies to anticipate coming down the pike. 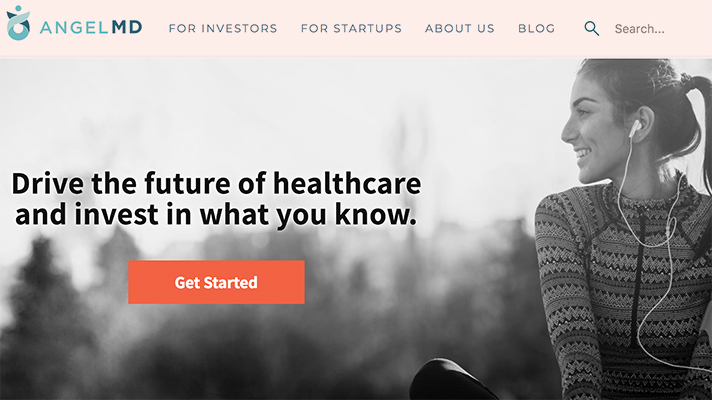 AngelMD breaks healthcare into five categories: biotechnology, healthcare insurance, hospitals and physicians, pharmaceuticals and other care. The report focused on biotechnology, pharmaceutical and other healthcare startups. Biotechnology was by far the most invested-in group, with $13.8 billion in investments, a figure that more than doubled over 2016, which saw $6.3 billion in investments. The other group also saw an increase, $9.2 billion in 2017 investments, a rise of roughly $1 billion over 2016. Pharmaceutical investments plummeted to $2.6 billion in 2017, compared to $7.1 billion in 2016, the report showed. Researchers also found that California is the clear leader when it comes to what states are seeing the most investments in healthcare technology, outpacing the next five states combines with $7.16 billion. Massachusetts was a distant second with $3.71 billion, then came New Jersey with $1.12 billion. New York and Pennsylvania rounded out the top five with $870 million and $760 million respectively. What’s more, the report detailed offerings within medical specialties, and highlighted trends that appear in specific offering size categories. Oncology investments totaled $7.4 billion, leading all other specialties significantly. However, when the scope of the investment was refined to the common startup size of $50 million and under, ear, nose and throat-related investments topped the list of “average money raised” with more than $12 million, followed by gastroenterology. Cancer-related funding fell to ninth place in this subset. The seed-stage investment by specialty category saw yet another trend emerge. This category included investments of $2 million or less in total funding. In this category, oncology leads again with a 14.5 percent slice of the pie, but is followed much more closely by specialties like Infectious disease and pathology. Neurology, internal medicine and other rounded out this top five. With the leap in biotechnology investment and the sharp drop in pharmaceuticals, it’s clear different decisions are being made by investors. This perhaps could be fueled by the drive to population health, wellness apps and at-home or on-the-go wellness monitoring.